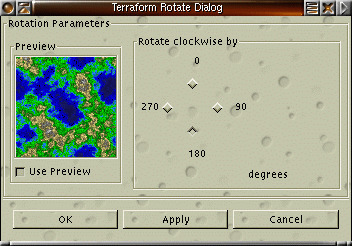 The following are a few screenshots showing some of the displays and dialogs terraform provides. 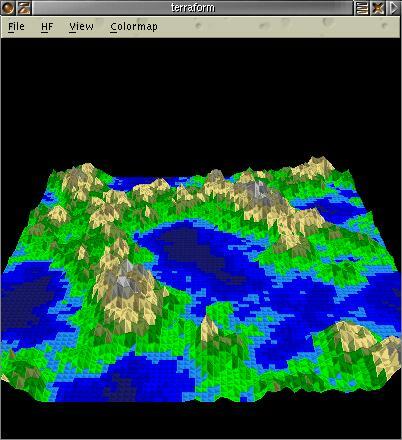 Abusing terraform as a logo-making tool: Height Field created with the GIMP, top down view. 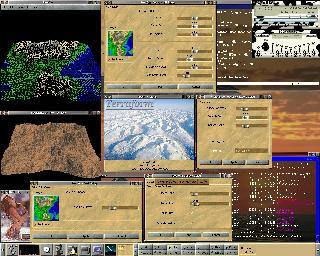 Default wireframe view using the Pixmap theme. 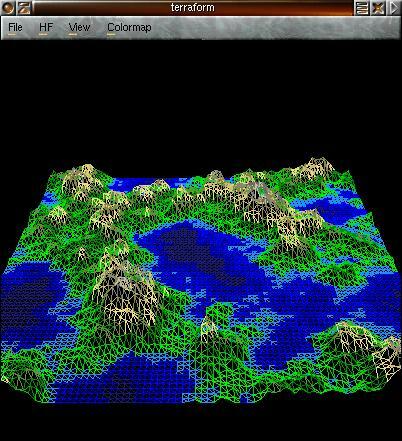 Filled wireframe view using the Cheese theme. 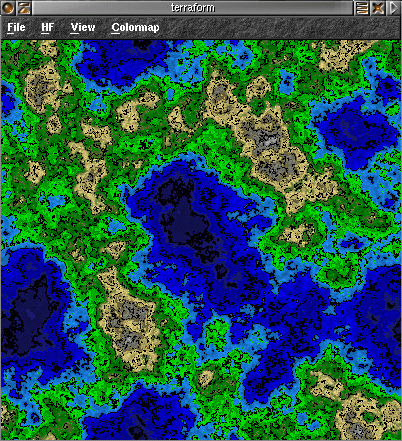 2D top down view with overlayed isograms using the Stone theme. 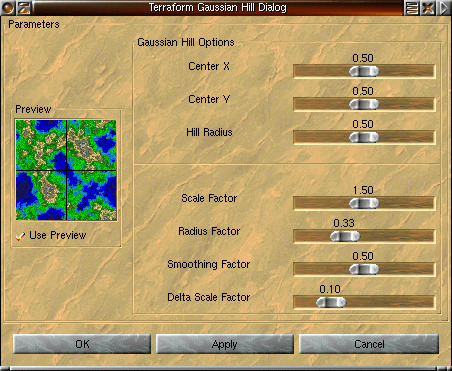 Gaussian hill dialog with Pixmap theme. 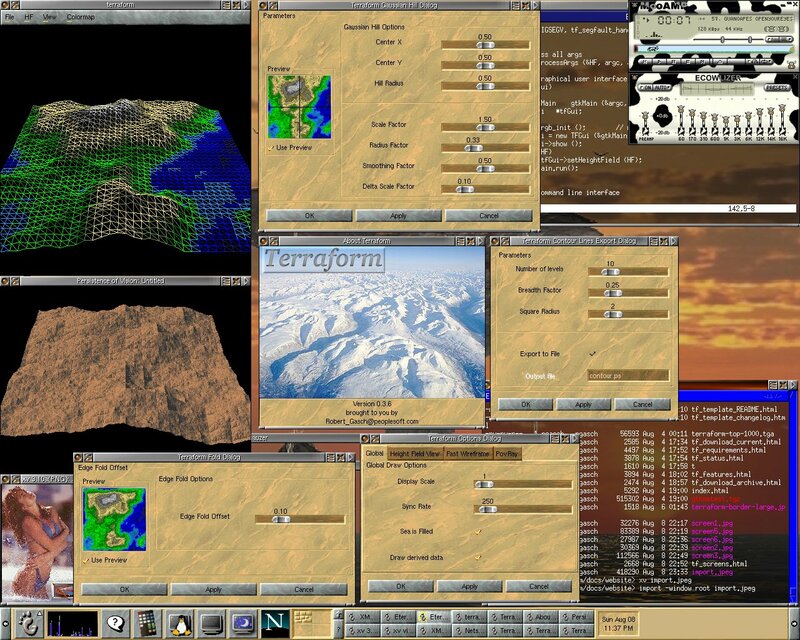 My machine with various terraform dialogs open. Click on the thumbnail for the full sized image (1280x1024).